﻿ Forged Cross, Forged Equal Cross Exporter. 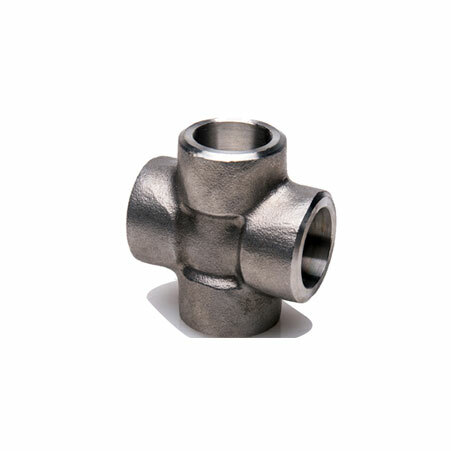 Forged Cross Manufacturer, Forged Threaded Equal Cross Exporter, Forged Unequal Cross Stockist, SS Forged Cross Supplier In Worldwide. We, Amco Metals, is an ISO 9001: 2015 certified company hence, we relentlessly address new challenges, while maintaining production standards and safety. We focus on cultivating quality and innovation in the minutest of the task, which makes us the forbearers of a wide variety of durable products. We assist our customers to choose a valid product for their industry and we definitely tailor our products to fit the bill. We provide Forged Crosses that are easy to fit, are durable and endure pressure and have a good surface finish. We are a manufacturer, trader, stockiest, supplier and exporter of Forged Crosses that are cross branch lines which sit at the centre of four connecting points, having one inlet and three outlets or vice versa. Our Stainless Steel Socket Weld Equal Crosses have high demand in the pharmaceutical, beverage and petrochemical industry. We supply Hastelloy Screwed & Threaded Unequal Crosses that are resistant to aqueous media. 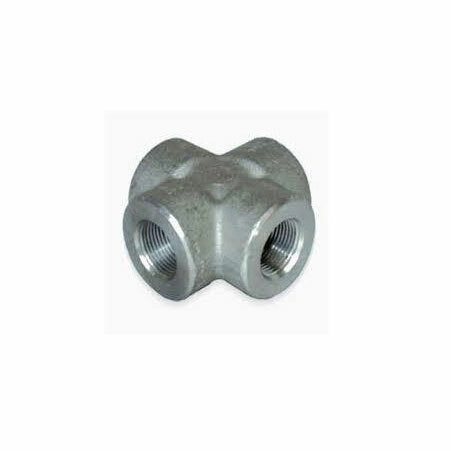 ASTM A182 Forged Equal Cross Manufacturer, SS Threaded Equal Cross Exporter, Carbon steel Equal Cross Supplier In India. 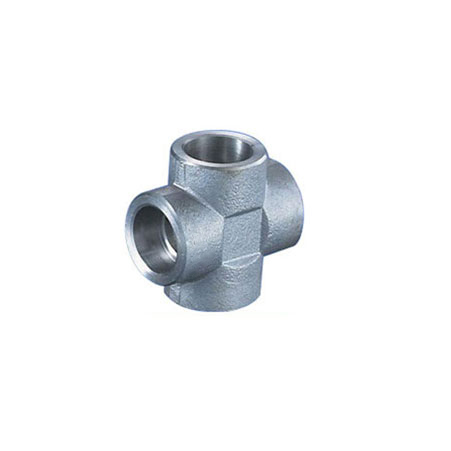 Type : Reducing Cross, Unequal Cross, Equal Cross, Forged Cross. Stainless Steel Forged Cross : ASTM A182, ASTM / ASME SA 358, ASTM / ASME SA 312 GR. TP 304, 304L, 304H, 309S, 309H, 310S, 310H, 316, 316TI, 316H, 316LN, 317, 317L, 321, 321H, 347, 347H, 904L. Duplex & Super Duplex Steel Forged Cross : ASTM A 182 – F 51, F53, F55 S 31803, S 32205, S 32550, S 32750, S 32760, S 32950. Italy, Macau, Bulgaria, Ecuador, Sri Lanka, Thailand, Hungary, Chile, Turkey, Denmark, Bhutan, Australia, Philippines, United States, Japan, Ireland, Serbia, India, Greece, Belarus, Poland, United Kingdom, Switzerland, Malaysia, Finland, Nigeria, Libya, Zimbabwe, Mexico, Argentina, Sweden, Iran, Czech Republic, Netherlands, Taiwan, Oman, Belgium, Singapore, Bangladesh, Spain, Lebanon, New Zealand, Mexico, Algeria, Peru, Hong Kong, Yemen, Mongolia, Namibia, Iran, Brazil, Vietnam, Chile, Pakistan, France, Germany, Nigeria, Croatia, Romania, Israel, Jordan, Iraq, Gabon, Nepal, Indonesia, Portugal, Austria, Kenya, Russia, Puerto Rico, Egypt, Kuwait, Costa Rica, Slovakia, South Africa, United Arab Emirates, Estonia, Morocco, Colombia, Ukraine, South Korea, Venezuela, Gambia, Angola, Saudi Arabia, Kazakhstan, Trinidad & Tobago,Tunisia, Tibet, Lithuania, Bolivia, Norway, Poland, Bahrain, Afghanistan, Canada, Qatar, China, Azerbaijan, Ghana. London, Muscat, Bogota, Pimpri-Chinchwad, Ranchi, Geoje-si, Toronto, Lahore, Jakarta, Caracas, Granada, Hanoi, Algiers, Los Angeles, Mexico City, Rajkot, Mumbai, Madrid, Manama, Haryana, Kolkata, Secunderabad, Ahmedabad, Gimhae-si, Hong Kong, Bangkok, Milan, Ulsan, Jeddah, Al Jubail, Ho Chi Minh City, Bhopal, Cairo, Howrah, Montreal, Jamshedpur, Vadodara, Chandigarh, Tehran, Gurgaon, Kanpur, Petaling Jaya, Brisbane, Chiyoda, Surat, Karachi, Moscow, Doha, Busan, Port-of-Spain, Hyderabad, Courbevoie, Pune, Dallas, Dammam, Houston, Seoul, Thiruvananthapuram, Calgary, Nagpur, La Victoria, Chennai, Dubai, Navi Mumbai, Lagos, Santiago, Atyrau, Al Khobar, Kuwait City, Noida, Perth, Ludhiana, Ankara, Singapore, Thane, Riyadh, Sharjah, Nashik, Istanbul, Melbourne, Edmonton, Sydney, Colombo, Ahvaz, Faridabad, New Delhi, Aberdeen, Rio de Janeiro, Ernakulam, Visakhapatnam, New York, Baroda, Coimbatore, Abu Dhabi, Kuala Lumpur, Indore, Jaipur, Bengaluru, Vung Tau.